Maybe it was a coincidence - or just the continuation of fiction by other means. Just as the author of the first novel about the EU was in Brussels, the bloc's most eye-catching civil servant was hitting the headlines (and even made it on to a Dutch satirical TV show). Robert Menasse, whose novel Die Haupstadt (The Capital) earned him public praise and the German Book Prize last year, was not surprised by the outcry over Martin Selmayr's appointment as European Commission secretary general. 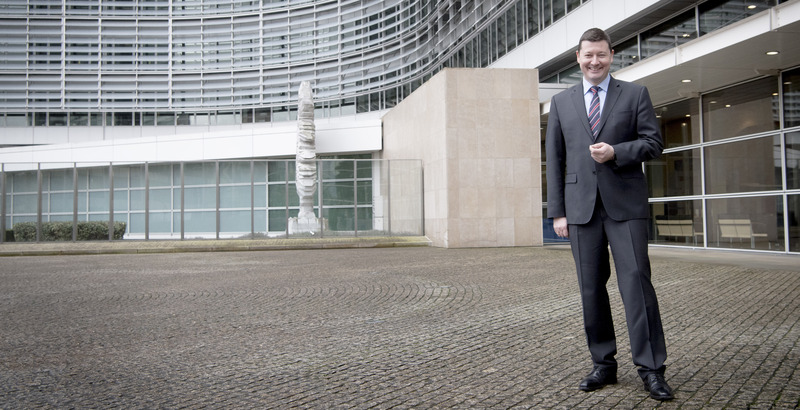 Selmayr holds an "extremely important office, with an incredibly big power - bigger than the power of the commission's president," Menasse told EUobserver. 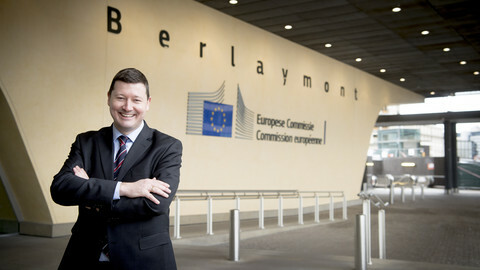 "Critics of Selmayr are critics of the system," he said during an interview in a smoke-filled cafe backroom in the centre of Brussels. Menasse spent several years in the EU capital to work on his novel. 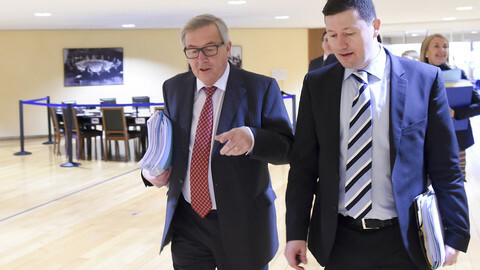 He met dozens of civil servants to document his book, including Selmayr, who was head of cabinet of the commission's president Jean-Claude Juncker. "I don't want to say anything about Selmayr's qualities or lack of qualities," the Austrian writer said - pointing out at a more general problem with how the EU is currently functioning. 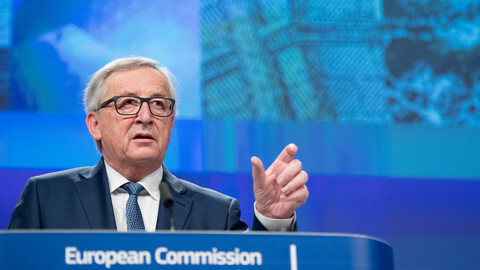 "We are seeing the development of the commission being blocked, but within the commission we see uncontrolled developments of positions of power," he said. 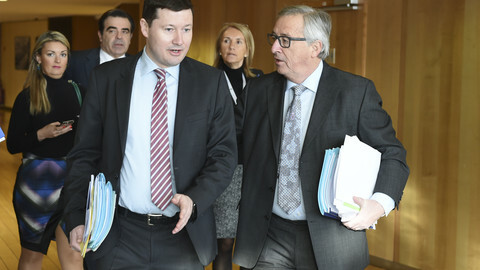 He refused however to blame "poor Juncker" - who had to take over a commission that was "demotivated" after Jose Manuel Barroso's two terms. Menasse argued that "every commission president has an unsolvable contradiction: the commission is the guardian of the treaties, and the treaty of Lisbon has taken power away from the commission." Before making the EU and its capital Brussels the topic of a thriller-like fiction, Menasse was known for essays in which, amongst other things, he called for a post-national European republic where regions, and more accountable EU institutions, would have increased powers. 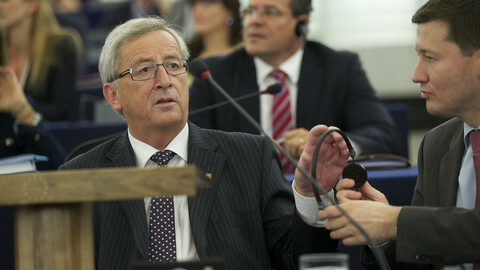 Looking back at the original idea of the EU as political project, he pointed out that the commission was supposed to become a European government controlled by the European Parliament. But now, he said, "an increasing number of member states put into question whether the commission should become a government, so they are blocking its development. But at the same time, they are blocking the control of the commission." As a consequence, the author said, "what is happening in European national politics is that all governments are claiming to be pro-European but are making [their] politics become anti-European." "Everything that is not working comes from the resistance of national states," he insisted, while noting that "people say: 'the EU doesn't work, so I have more trust in the national government'." "This is an inversion of reality," said Menasse, who claims the right - even the duty - to "defend the idea [of the EU] but criticise the status quo". "We have a common market, a common currency, but we don't have a common democracy," he argued. "That is the reason why people increasingly identify themselves with national democratic systems." Asked who was his favourite current EU politician, Menasse noted that "Macron has very sensible proposals," like the creation of an EU finance minister. 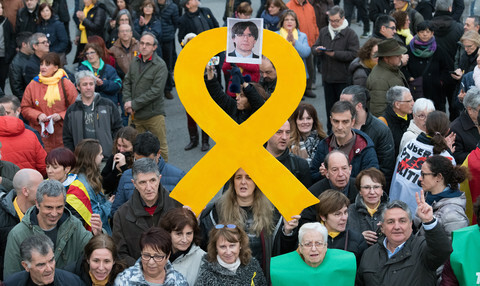 "These proposals were made by the commission for the last 15 years, they were always killed in the council, and for the first time a head of state has these proposals," he said. The author and thinker was adamant that limiting EU debate to a 'Yes' and a 'No' side was "nonsense and dangerous". "We have to break this. We can be critical pro-Europeans. It is important," he said. "We have to make clear what was the European idea, and defend that idea. But we should not make the status quo look too positive." Die Haupstadt, which starts with a mysterious murder and a pig running wild across the Saint Catherine neighbourhood at the heart of Brussels, develops into a plot over how the European Commission should celebrate its 50th anniversary - with other subplots including a terror attack in the Brussels metro. Menasse created characters that go against the common image of faceless Eurocrats - with emotions, desires, commitments, as well as ambition and selfishness. "There is this cliche that [the EU] is an enormous bureaucratic apparatus," he said. But EU civil servants "are highly-qualified people working on a very important project." As a novel writer as well as a politically-committed intellectual, Menasse thought that it was "necessary to show that [the EU] is human-made. We have to give this abstract thing a face." In the novel, the jaded eurocrat in charge of the celebrations, Fenia Xenopoulou from Cyprus, proposes to hold them in Auschwitz and gather survivors. Would Menasse himself think that the Nazi death camp is the EU's birthplace? "The European project could only happen because of Auschwitz," he answered, not pausing much. "The shock was so big." "Suddenly it was possible to rethink the construction of peace," he argued, insisting that while nationalism ultimately led to Auschwitz, "the meaning of national identity was also destroyed" when people died there regardless of their nationality. Through the 'ultimate crime', the Austrian writer explained, "rule of law could be founded on human rights." That is why "we have to think the EU through the perspective of Auschwitz." 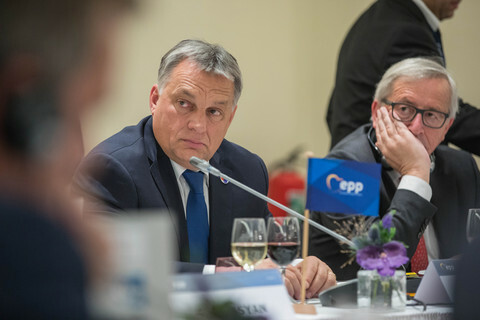 When faced with euroscepticism and a feeling that EU values and benefits are taken for granted, EU leaders sometimes say that peace is no longer enough as a basis for the European project. "This is nonsense," insisted Menasse, arguing that even the youngest generation would never say they prefer war to peace. "For the founding generations, it was absolutely clear that the peace project was no military action on European soil, but also [the] production of 'social peace'," he said, adding that today's EU leaders "prefer not to remember that, because they are cutting the welfare state." 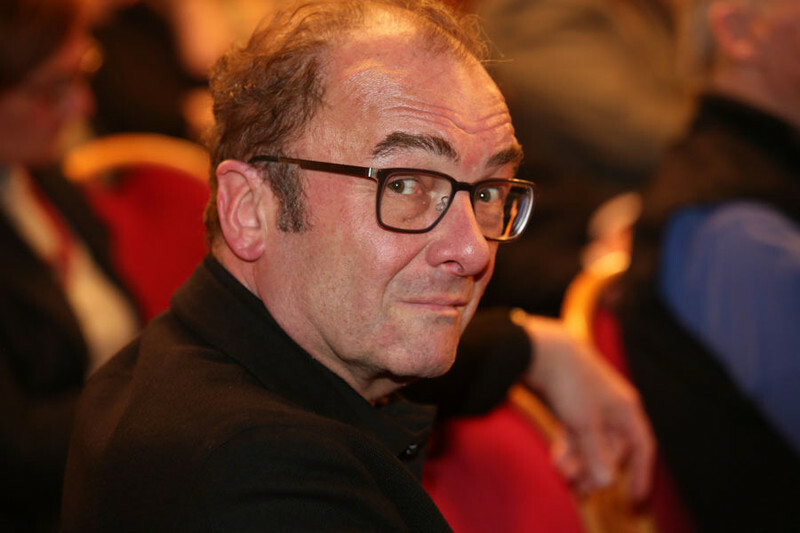 Menasse was back in Brussels for the launch of Die Haupstadt's translation in Dutch. The English version will be published in March next year. After the success of the book (an unexpected achievement given its topic was the EU), its author is thinking of a sequel. "I have a lot of folders with material I haven't used yet, and I have new questions," he said. This time the topic would not only be the reasons for and purpose of the EU, but also the alternative it faces today. "The important question of our times is: does this project succeed, or do we fall back into social conflict?" Menasse said, stubbing out a last cigarette. "It's definitively about the question: human rights, or rule of force?"